An essential tableware item, the brandy glass is a generally a balloon shaped crystal glass with a short stem or a tulip shaped-glass on a long stem. 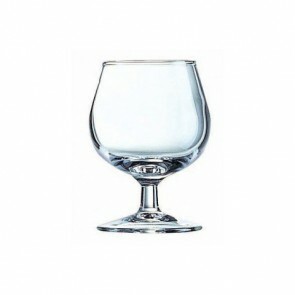 This elegant drinkware item is used for tasting the different brandy types: Cognac, Armagnac, Eau de vie. 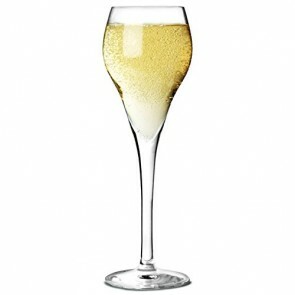 The advised capacity for this type of glass is between 6cl and 9 cl. How to enjoy your drink in the perfect brandy snifter glasses? 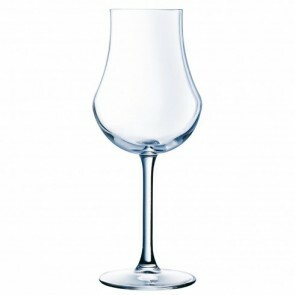 Also called the snifter, this balloon glass or tulip glass should be held in the palm of your hand when tasting. This gesture allows to unfold its bouquet and release the aromas by heating the alcohol. AZ boutique features spirits glass you need for a perfect table setting at very affordable prices. Usually considered as an after-dinner drink, the brandy is tasted as a digestive if it is a young vintage. Tasting your brandy on ice will reduce the power of alcohol and release the subtlest aromas. Our website features a selection of cognac glasses from the simplest to the most sophisticated to fit your tastes and preferences and to capture brandy’s every single mesmerizing aroma. You can choose between a simple Brandy glass from Arcoror, Chef & Sommelier brands or a Schott Zwiesel Brandy glass to add a flair of elegance to your table decoration! 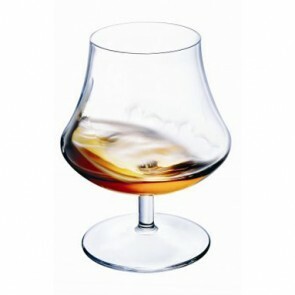 Note that the Schott Zwiesel brandy glasses are made of Tritan; a superior quality crystal. 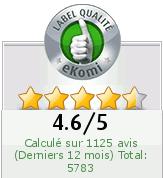 This glass type is acknowledged as one of the most resistant in the world. Why not treat yourself to a whole new set of fine crystal brandy glass set? Most of our brandy glasses – must-have barware accessories - are made of high quality crystal, which make them particularly durable. 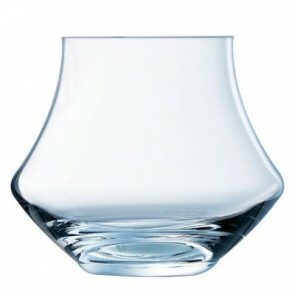 With their round vessel sometimes tulip-shaped and their narrow top, these brandy glasses, also used to drink whisky, will be ideal to share a short drink with your guests during a special celebration! 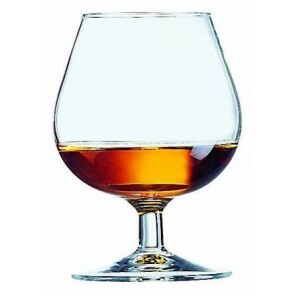 Cordial glasses, tulip shaped wine glasses, crystal glasses: the best cognac glasses on AZ boutique! The Brandy glass can also be used as a cocktail glass, try a Brandy Tonic or enjoy your schnapps on its own, according to your preferences. 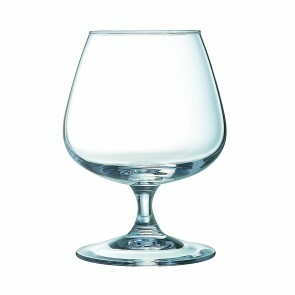 Choose from our brandy glass selection on AZ-boutique and enjoy the best prices and the best service! From the most simple brandy glass by Arcoroc or Durobor to the crystal brandy glass or sniffer by Schott Zwiesel, discover on AZ boutique a wide selection of brandy glasses, sniffers, brandy cognac glasses and Armagnac glasses essential for tasting this popular drink. 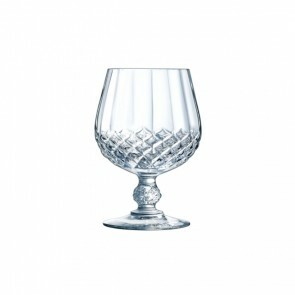 You will also find on our online home and restaurant supply store a wide range of other high-quality drinking glasses and barware items for every beverage for entertaining your guests and to further glam up your tabletop: double old fashioned glass, tumbler, shot glass, cocktail glasses, champagne flutes, martini glass, liqueur glasses, high ball glasses pint glasses among others.